On the evening of April 3, 1968, in Memphis, TN, Dr. Martin Luther King Jr. spoke to a church full of supporters, rallying behind the city’s striking sanitation workers. Dr. King was shot and killed the following day. Prompted by the poverty wages they received from the City of Memphis, and the dangerous conditions of their work, which had led to the death of two workers in February 1968, Memphis sanitation workers began protesting that Spring for their right to form a union. 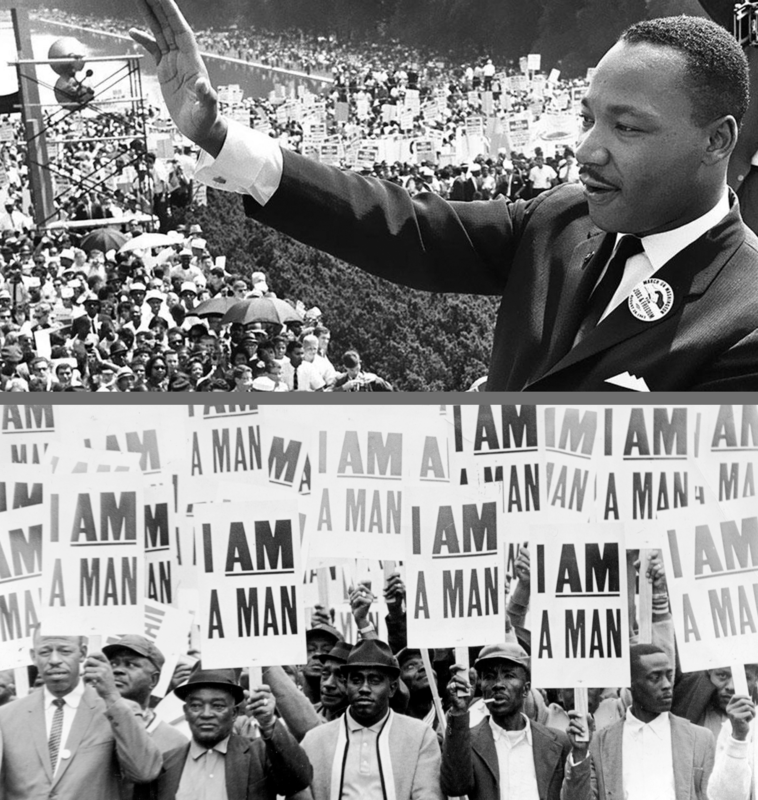 Their picket line signs reading “I AM A MAN” became iconic for its truth. Despite being maligned as un-American, Dr. King supported the truth championed by these workers and the truth championed by all people fighting for freedom and dignity in society. He dreamed of a nation that lived up to it’s stated values. Today, we celebrate Dr. King’s birthday. We celebrate his legendary capacity for empathy and the world he wished for all Americans that were yet to come at the time of his death.